While in dental school, Dr. Johnston served 4 years with dental missions in Mexico. This extracurricular activity allowed for an early start and additional hands on training while in school. Before graduating, in 2003, Dr. Johnston did an internship at the Brownsville Community Health Clinic on the Mexico – Texas border. Here, Dr. Johnston received more additional hands on dental education tending to low income individuals with extensive dental needs. In 2008, Dr. Johnston decided to create Ascent Dental Group, the culmination of his lifelong dental journey. He is dedicated to creating an environment where doctor and patient have a strong lasting relationship that allows successful communication for better patient treatment, a product of being raised in a small town. 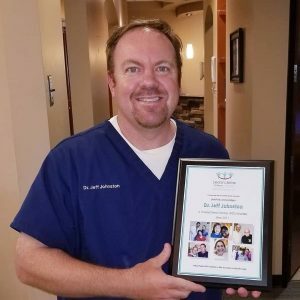 He is passionate about the constant improvement of Ascent Dental, his continued dental education, his patient relationships, and his self-improvement. Dr. Johnston is a member several professional organizations, which he chooses on the basis of whether they contribute to the overall well-being of patients and the profession. He is currently pursuing the Fellowship Award to the Academy of General Dentistry, which is earned through continuing dental education on the many different fields of dentistry. Other organizations include: American Dental Association, Metro Denver Society, Texas Tech Alumni, and the Optimist Club of Monoco South. Dr. Johnston participates in local dental study clubs in the Denver Area. He serves as an Ambassador to the Glendale Chamber of Commerce, an Luminary for Hoya Conbio Dental Lasers, a mentor for Cerecdoctors.com, and is on the welcoming committee at his church. In his spare time, Dr. Johnston loves to spend time with his wife Jana, his daughter Aubrey and son Landon. 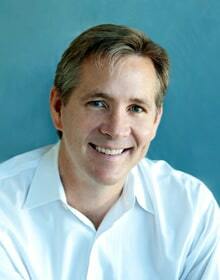 Dr. White was born in Davenport, Iowa, but lived the majority of his life in Dallas, Texas. He is a 1979 graduate of Plano Senior High School, just north of Dallas. He received his Bachelor of Science degree in biology from Stephen F. Austin State University in Nacogdoches, Texas in 1983, then returned to Dallas where he attended Baylor College of Dentistry, graduating in 1988. Dr. White has earned a proud reputation in his particular niche of general dentistry. His career has focused on performing the finest in endodontics, or “root canals”, a service many dentists prefer not to do, but where Dr. White excels. He has performed over 16,000 successful root canal cases. Dr. White enjoys attending numerous continuing education courses each year to always keep advancing his knowledge of dentistry and the health professions in general. He is an experienced clinician who is dedicated to providing high quality, conservative, and comfortable dentistry. Dr. White has said that throughout his entire life he had felt like a misplaced Coloradan. He and his wife Kristin moved to Colorado in 2011 and could not be happier. He states, “We are finally home!” Dr. White resides in Evergreen and he and Kristin enjoy cycling, hiking, kayaking, camping, scuba, and snow skiing. Dr. White is also a former professional musician and continues to play piano and guitar. Valentina is a Colorado native and grew up in the heart of Denver. After graduating high school Valentina grew a passion for dentistry. In 2001 she enrolled at Concorde Career Collage to obtain her dental assistant certification. Valentina has since then continued to enjoy furthering her education and knowledge in the dental field by attending as many continuing education courses she could. 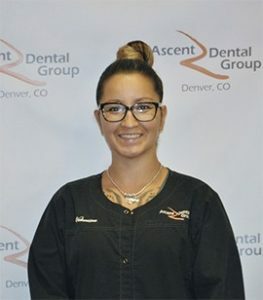 Valentina has also used her down time in the dental office to learn all aspects of the dental front office including insurance billing and coding. Valentina finds it rewarding to be able to care for her patients and treat all their dental needs while also building a relationship with them. In her spare time, Valentina enjoys spending time with her husband Michael and her 4 children, Timothy Jiavana, Nivia and Amare. They enjoy being outdoors as much as possible and vacationing as often as they can.